There's no doubt about it, the weather outside is frightful these days. Despite that, a bunch of people at Lakeridge High School are already looking ahead to the sunny days of the upcoming 2019 baseball season. The Pacer baseball program, now under the guidance of new head coach D.J. Whittemore, is aiming at a return to competitiveness in the coming season. The Pacers are coming off a tough two-year stretch that saw the team go 5-29 in Three Rivers League play, 10-42 overall and miss the Class 6A state playoffs each year. 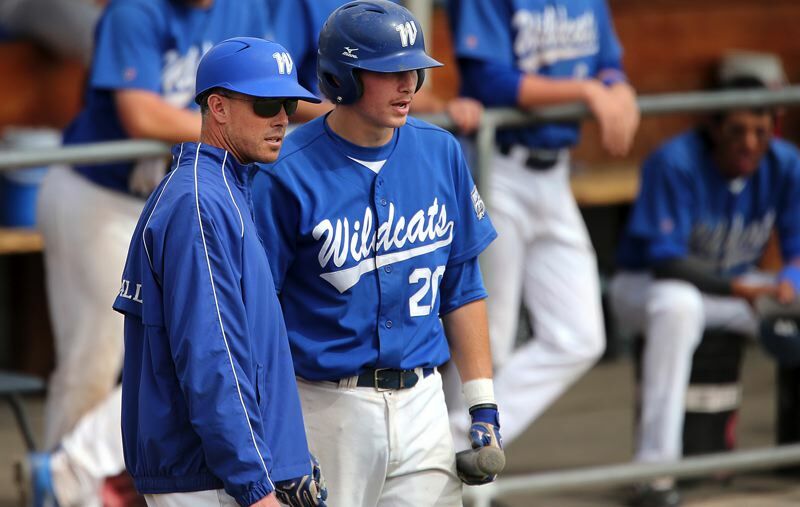 "We understand we're the underdogs," said Whittemore, who assisted at West Linn in 2017, and before that, coached Western Nevada College from 2005-16. "But we're working really hard and hope to be competitive. I'm thrilled with our blue-collar work ethic and, hopefully, we can catch up sooner rather than later." That said, Whittemore, assistant coaches Miles Lewis, Beau Day, Aaron Greer and William Raphelt, and the Pacer players know the size of the challenge they face. "This league has some of the best traditions and coaches and players in the state," Whittemore said. "The TRL has one of the most accomplished coaches of all time in (Tigard's) Tom Campbell, one of the top two programs in the state in the last six years in West Linn, recent state champion Oregon City and Tualatin as well. The depth and quality of the teams is as good as it gets in Oregon." The Pacers are also interested in reviving their crosstown rivalry against Lake Oswego. The Lakers, led by head coach Jake Anders, have won six straight against the Pacers, with Lakeridge's last win against the Lakers coming on May 4 of 2016. Beyond that, Lakeridge hasn't won a series against Lake Oswego since sometime before 2006, though the Pacers did get a split back in 2015. "The baseball players and coaching staff at Lakeridge are energized and committed to putting in the work necessary to revive the rivalry with Lake Oswego," Whittemore said. "For too long … it's been a rivalry that has been one-sided. Jake Anders has done a great job … and set the bar very high. We are determined to improve and get to the point where we can be competitive again." The 2019 Pacers won't return an all-leaguer from last spring, but could bring back as many as 11 varsity players, six of them pitchers, from the 2018 varsity team, including junior left-handers Brody Veater and Cooper Justice. "They're both big and left-handed so that's a bonus, but they both play multiple sports so they weren't able to participate in our fall workouts," Whittemore said. In addition to the hard work of the Pacers' players and coaches, Whittemore said that the parents and supporters of the program are also ready to move ahead. "Thankfully, we have some parents who want to be a part of the culture change and we have some players who understand there is no substitute for hard work," Whittemore said. "From a coach's standpoint, there isn't anything more we can ask for. We have a supportive administration and a great school and a great community, and we hope that they can be as proud of us as we are to represent them."